The weather forecast wasn’t great for the Farmer’s and Craft Market in Bishop’s Stortford and it was at least accurate! I managed to hang on to my handcrafted gifts in the wind and rain and things did improve when we got an extra tarpaulin!! Well done those brave customers who ventured out and bought some of my Christmas decorations. I bought a new wooden Christmas tree to put them on in my studio and they look good- still a bit early to go decoration mad though! 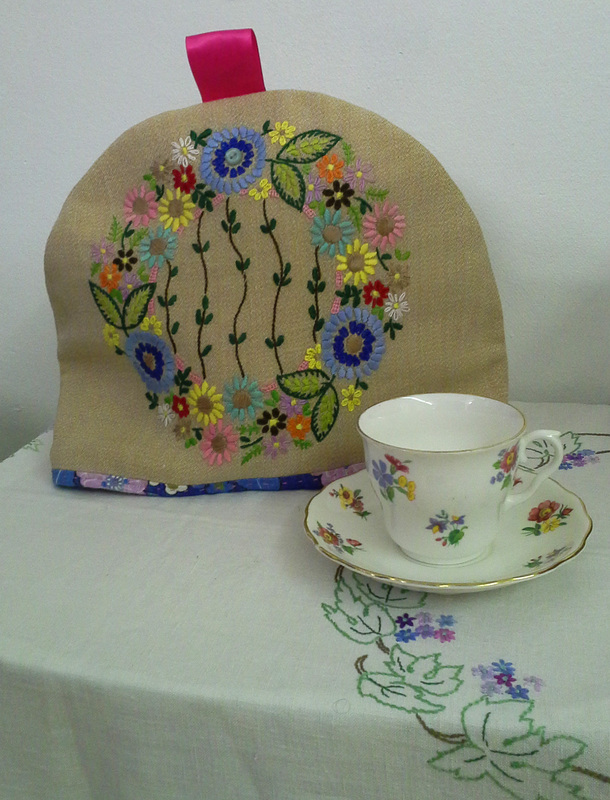 Here’s the latest tea cosy I made this week- from old embroidered chair slips and napkins. Very pretty I think. Classes are on as usual on Wednesday and the studio will be open all day too. NO FRIDAY CLASS THIS WEEK! 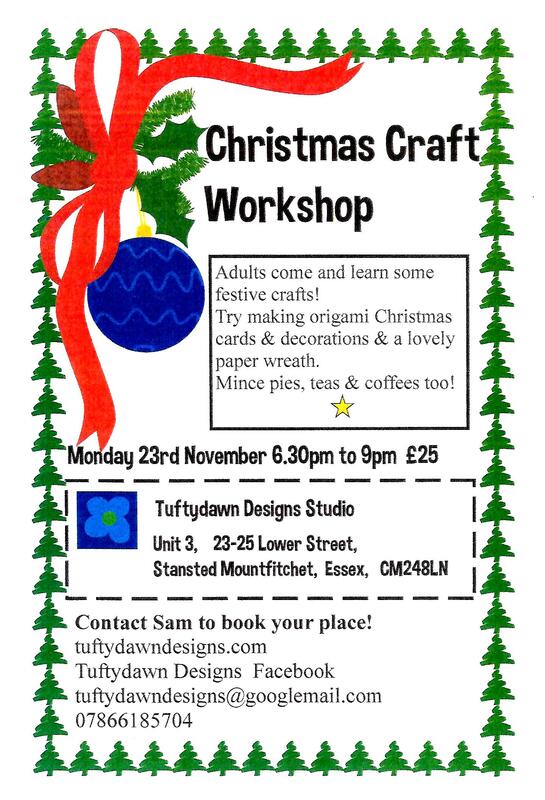 Just a reminder that I’m running a Christmas Craft Workshop on Monday the 23rd of December. Look forward to seeing you there!